In 1950, Børge Mogensen presented the draft for the Søborg Chair with the intention of creating a chair made of plywood and solid wood that is functional and at the same time is comfortable for hours. The chair combines craft with industrial manufacturing processes. The frame consists of solid wood manufactured by hand, but the curved seat surface and the backrest however, are made of industrially manufactured plywood. In 1952, Mogensen expanded the collection to the chair with a steel frame. The chair made of solid wood, plywood and steel is still modern and radiates a quiet atmosphere. Because it is such a timeless and simple design, the chairs can be used in the living area as well as in the public space. 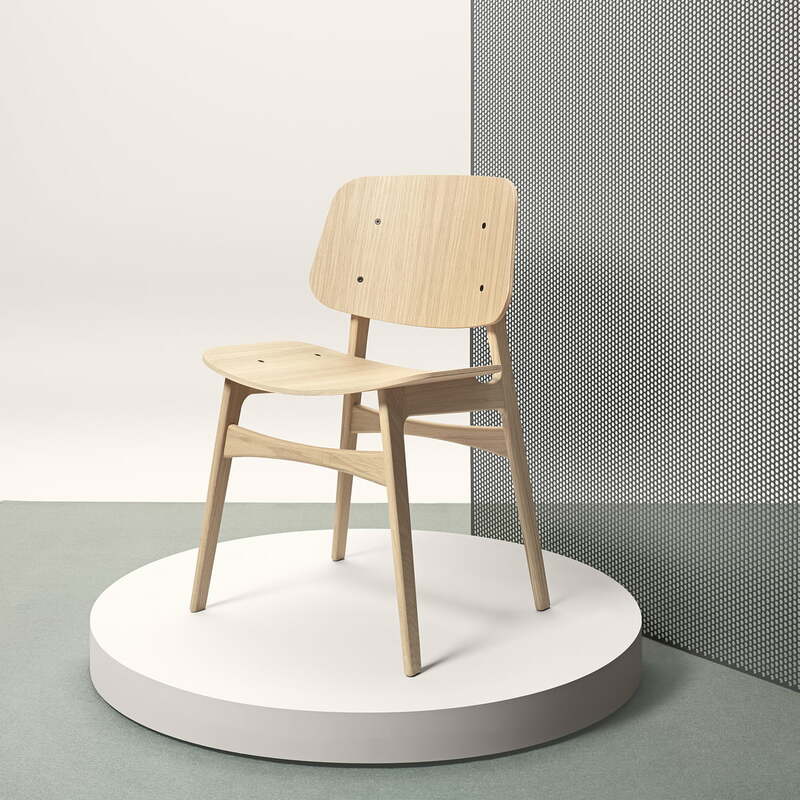 The Søborg Chair by Børge Mogensen is produced in different versions by Fredericia. Optionally, the chair is also available in an upholstered version. Individual image of the Søborg Chair by the company Fredericia made of black lacquered oak In 1950, Børge Mogensen presented the design for the Søborg Chair. 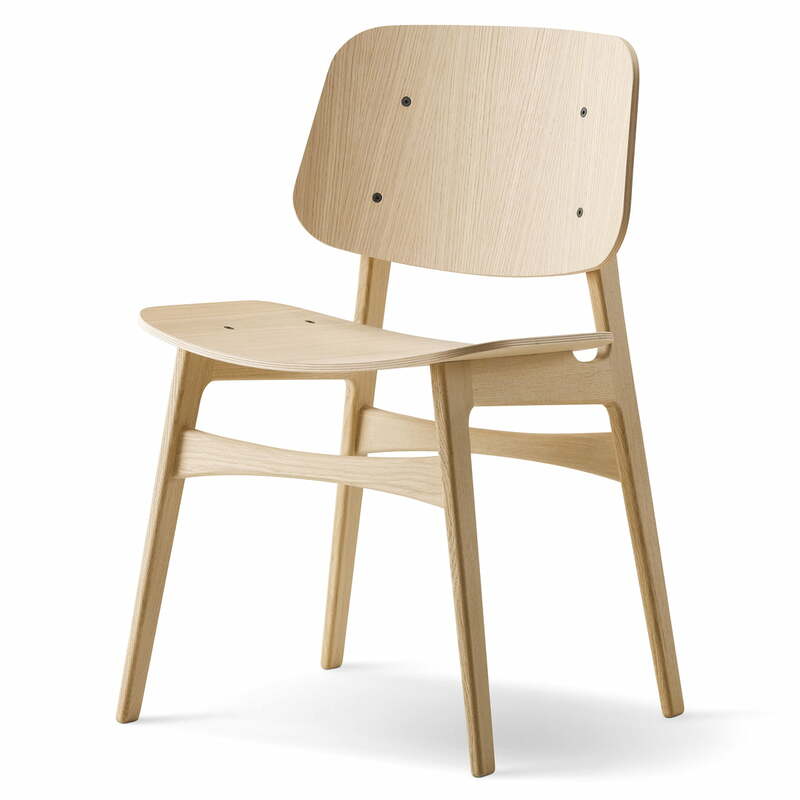 Individual image of the Søborg Chair by Fredericia made of oak. The frame is made from solid wood and the sea as well as the backrest are made of plywood. 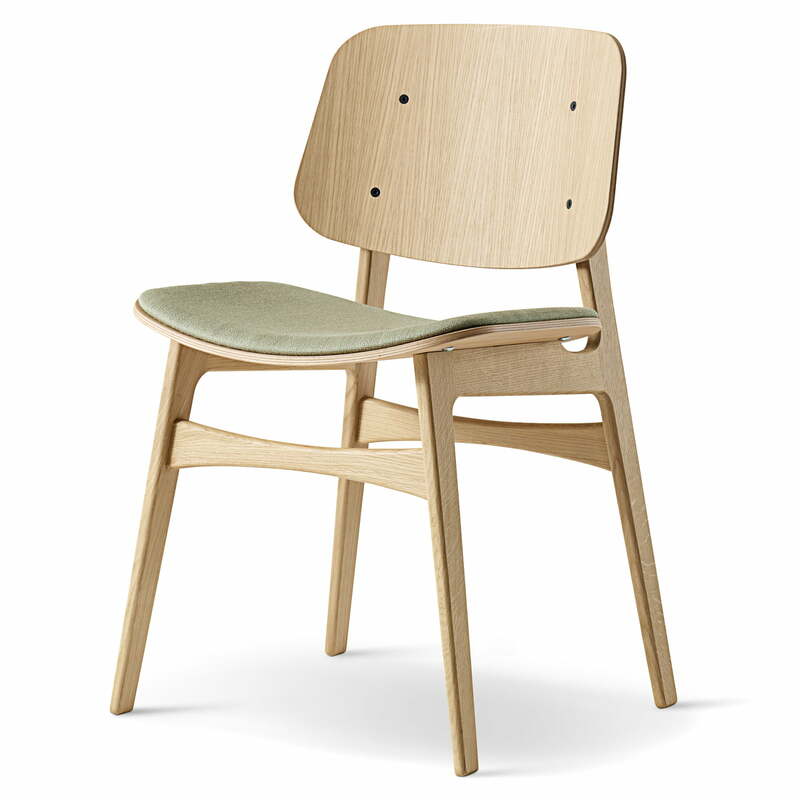 Individual image of the Søborg Chair by the manufacturer Fredericia. The frame and the backrest as well as the seat of the upholstered chair consist of oak. 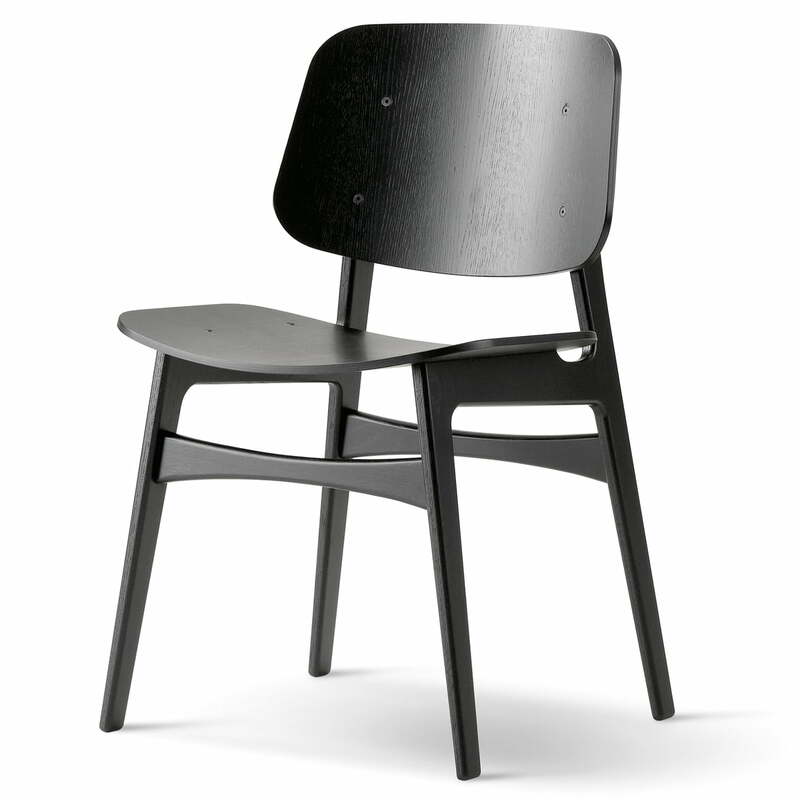 Individual image of the Søborg Chair by Fredericia in black. The frame is made from solid wood and the sea as well as the backrest are made of plywood.